What’s the one color that every youngster is obsessed with right now? Beautiful, sophisticated gray! That’s right, the color gray and its shades are trending like never before. 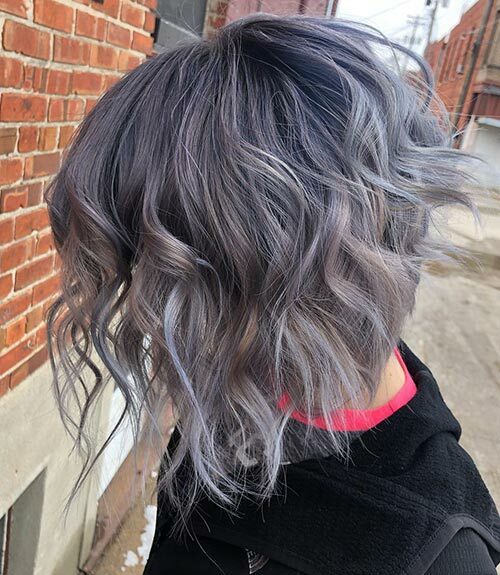 With cool shades like silver fox, dramatic smoky gray, and metallic charcoal, the gray phenomenon is on the rise. Hairstylists all over the world are putting their own twist on this gor-geous color to create stunning styles. 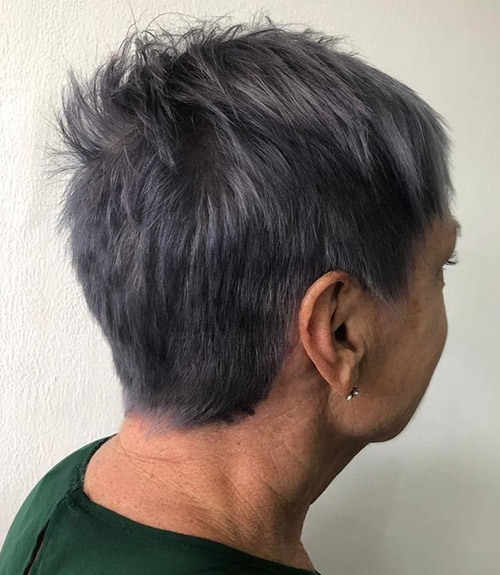 Want to color your hair gray but don’t know which style to go for? Allow me to help! 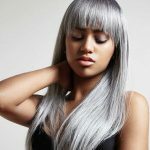 Check out the 30 most stunning gray color hairstyles trending right now before you make your decision. Contrasts seem to captivate all of us. If you like ombre and gray, opt for this color blend. 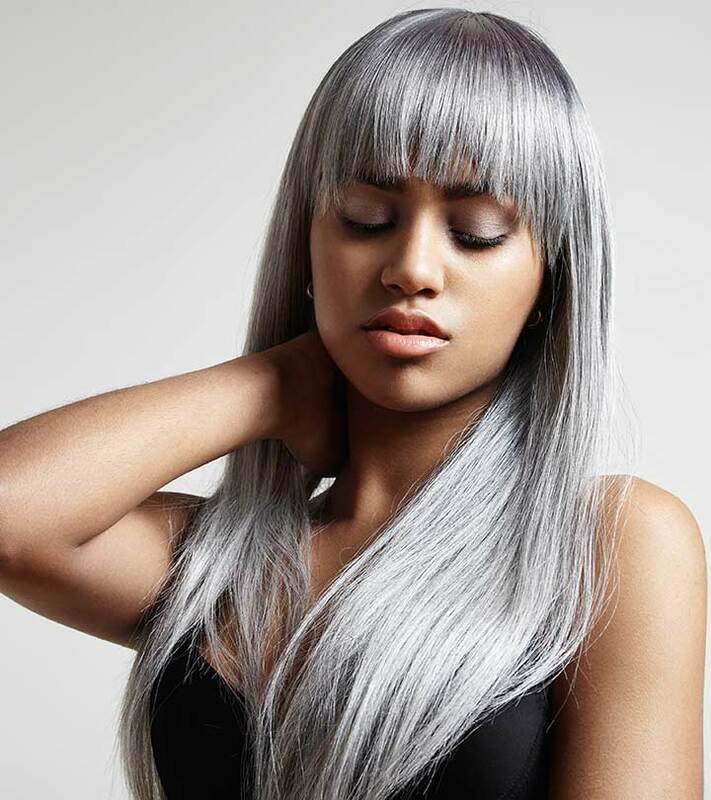 Color your roots a deep gray and transition it gently into soft light gray towards the ends. Style this color in subtle waves to finish off the look. 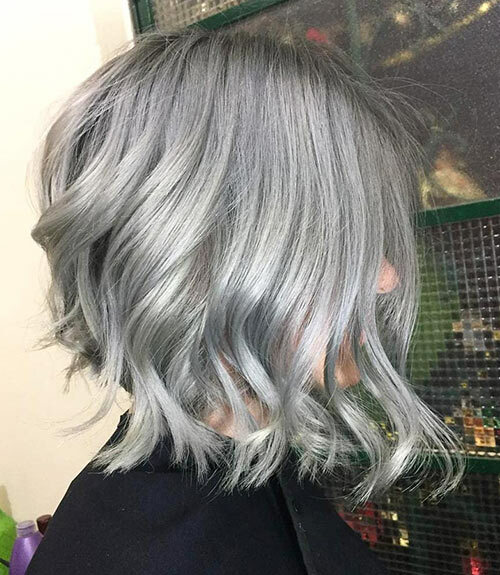 Silver gray is one the most sought-after hair colors right now. 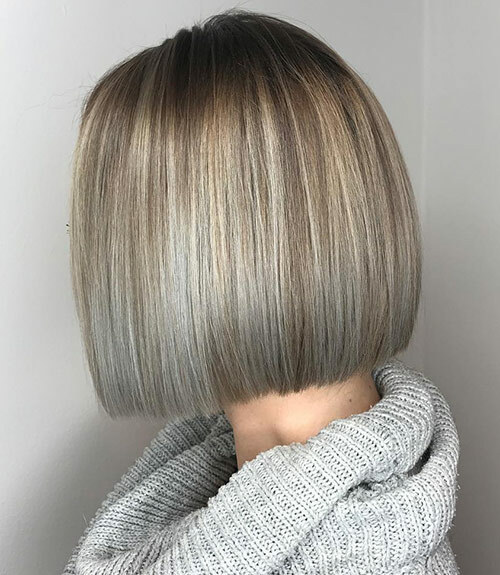 This color looks the best when styled in an angled bob. 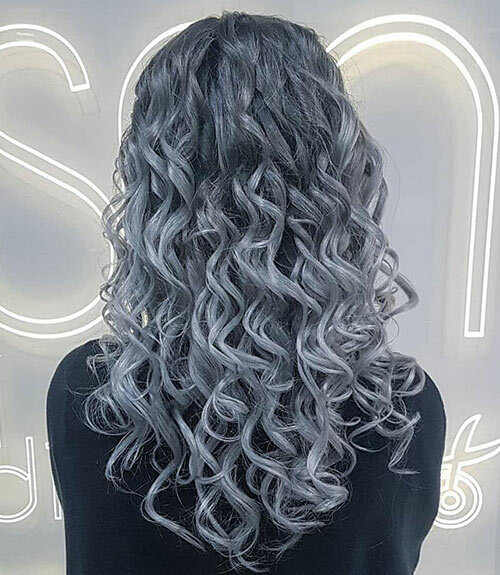 To add some volume to your stunning silver gray locks, curl the ends of your hair. 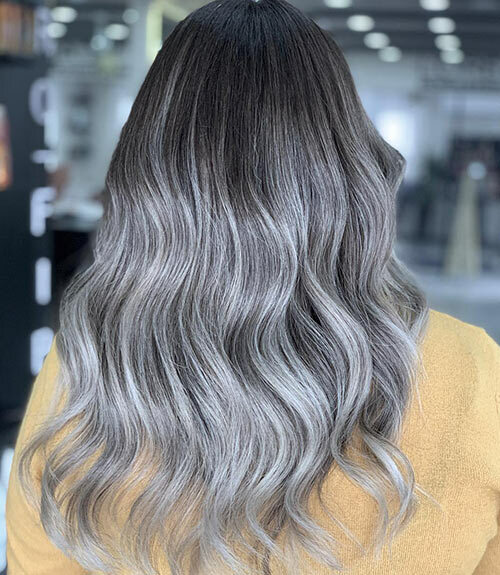 Combine your love for gray and dusty shades with this stunning dusty gray hair color with blonde highlights. To streamline your jawline, keep the ends of your hair below your chin. Choppy, blunt-cut ends also look great with this color. 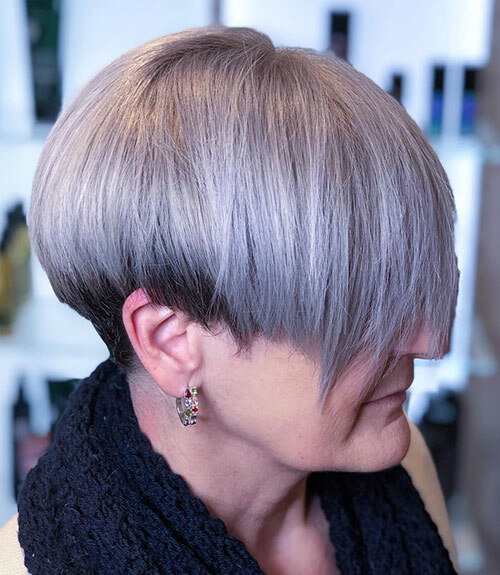 Are you captivated by gray hair and want to take the plunge? 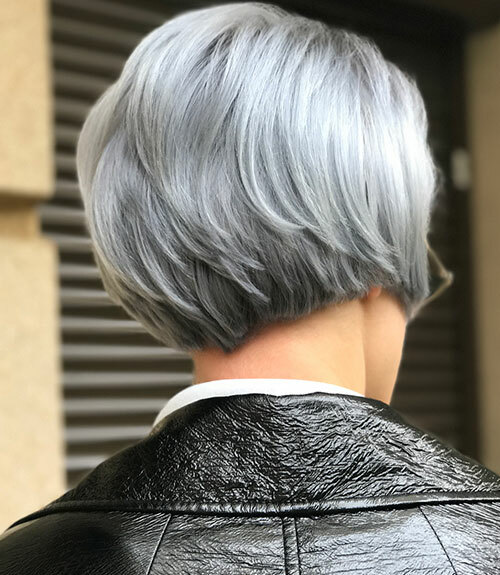 If yes, consider this bright platinum gray shade. Color all your hair with this shade to create a magical hair look. Add some soft lavender shade to jazz it up further. A pixie is the best way to shoot your cool factor all the way up to 100. It’s edgy while keeping your hair off your neck and face. 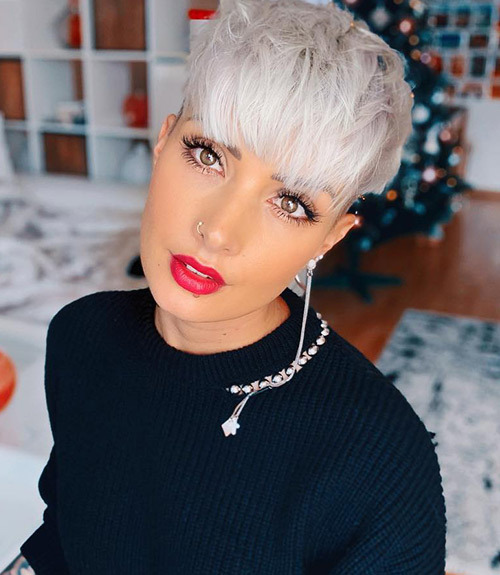 If you want to look even bolder, color your pixie in a silver gray shade and slick it back. 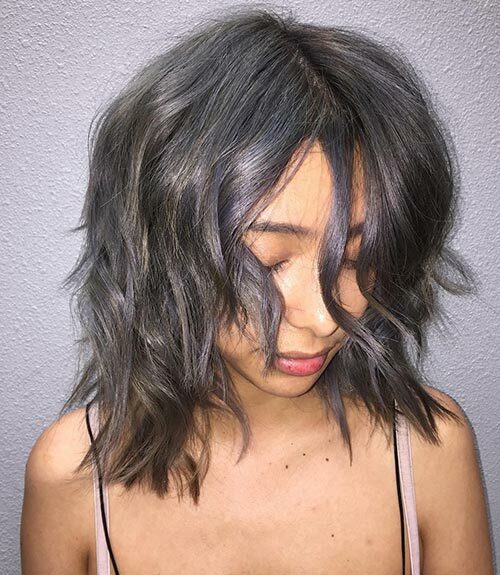 Mysterious and dramatic, smoky gray is one of those shades that make a woman look mature and knowledgeable. 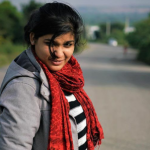 Style this hair in some nice curls to flaunt your cool new hair shade. Steel gray is a lovely metallic shade. 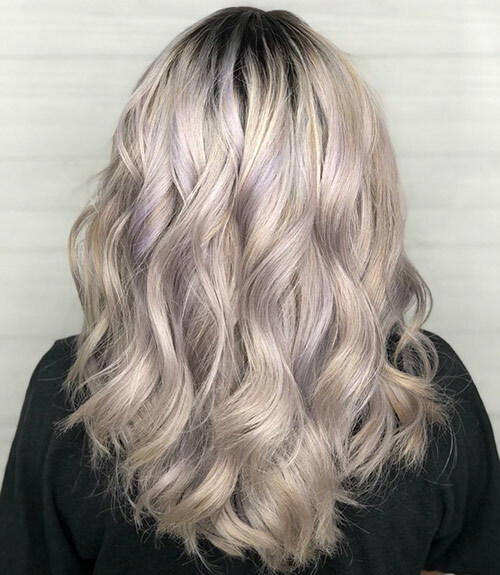 You can pair it with deep lilac highlights to add more depth to it. 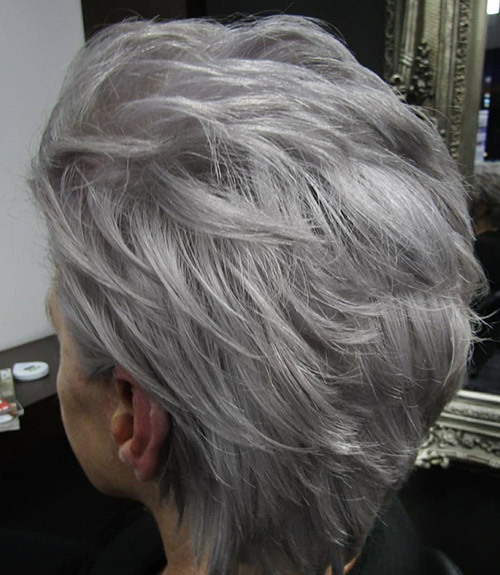 You can also add a hint of dusty gray to accentuate your steel gray locks and enhance their shine. Fashion is for all ages, be it for your clothes or your hair. Just check out this stylish un-even bob. The unevenly cut deep side-swept bangs make for a dynamic look. 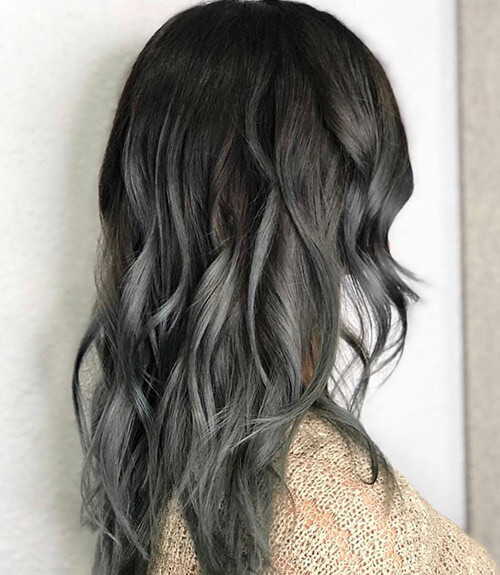 And let’s not overlook the silver fox gray at the top that creates a stunning contrast with the dark hair at the bottom. 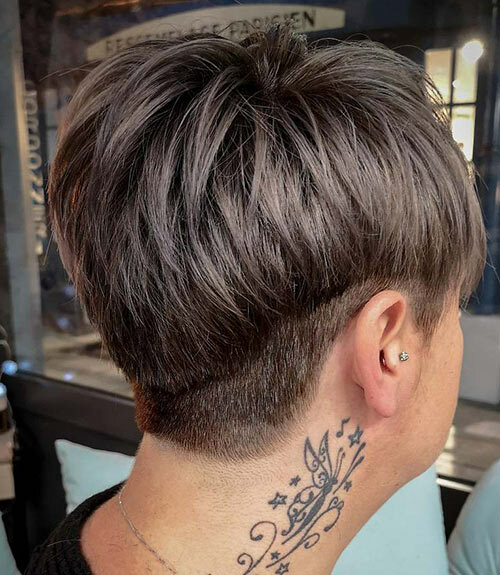 Undercut styles and gray hair are taking the world by storm right now. 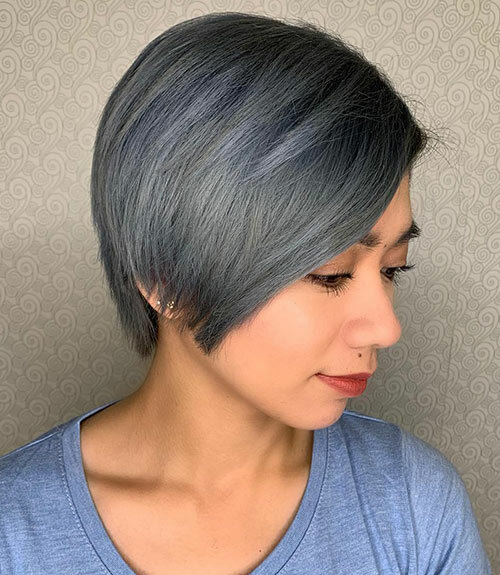 Combine them to get this stunning pure gray undercut. If your skin has a cool undertone, opt for a lighter gray shade. 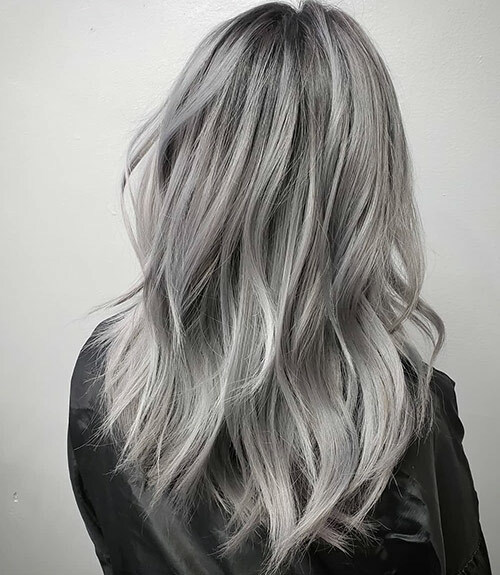 Gray and blonde create a lovely gold and silver contrast. If you have cool-toned skin, opt for a frosty winter blonde and gray mix. For warm-toned skin, opt for a soft, warm blonde and gray like the one in this image. One way of embracing your graying hair is to intensify it. Instead of coloring your hair its natural color, opt for a darker gray. This will make you look younger without being too over the top. Coloring your hair is the best way to get a makeover. This purple-gray color looks like it was made for exactly that purpose. Get it cut in a bob, feather out the ends, and curl your hair in big curls to add dimension and volume. Women between the ages of twenty and thirty want gray hair but don’t want to look older. If you are one of them, this intense gray is the perfect solution for you. This intense gray shade sharpens the lines of your face. If you have a particularly adventurous spirit, consider this super light gray. 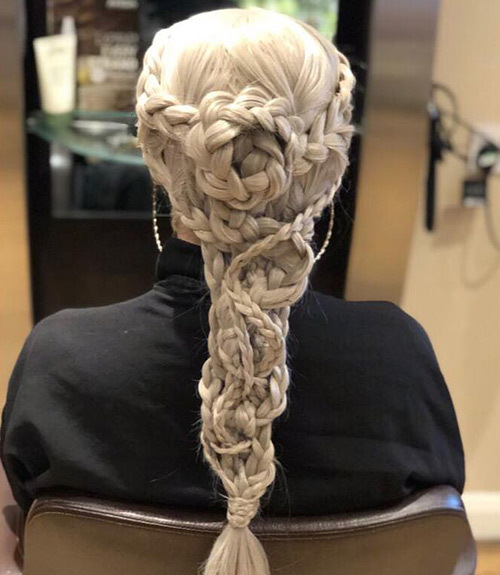 Braids are also a huge favorite among young women (thanks to Khaleesi, no doubt!). With the various types of braids you can try out, flaunting your gray hair can be fun! 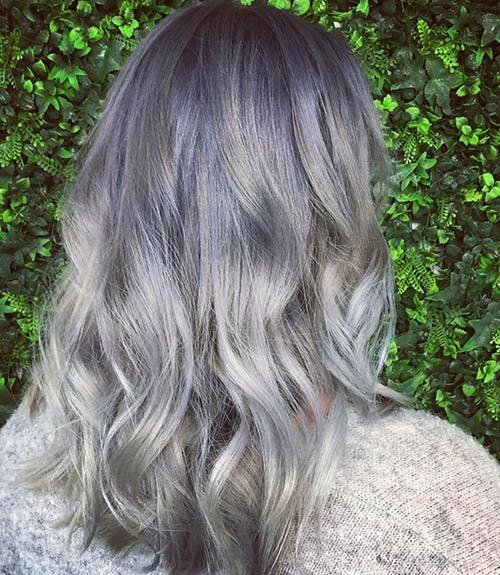 There are a ton of gray shades out there, so you don’t need to stick to just the classic silver fox. You can play around with colors to find your perfect shade. Take this muddy gray shade, for instance – it has a smoky undertone that makes it look intense. 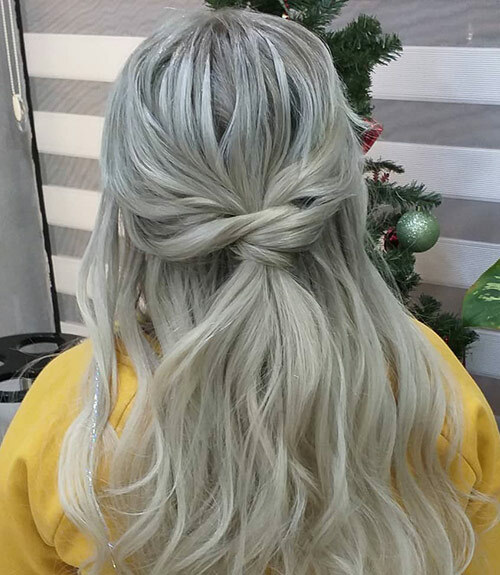 Cool-toned dirty blonde hair highlighted with gray makes for a lovely winter-esque look. The blunt bob draws even more attention to the colors. Straighten your blunt bob to add a sleek touch to this look. 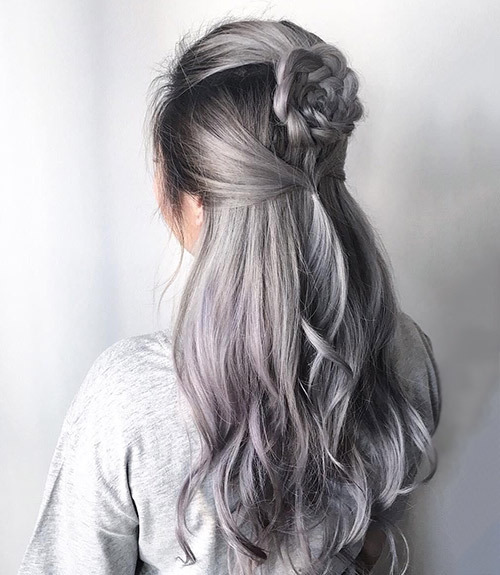 Gray hair looks mystical and dramatic. I totally get why so many women want it. If you want to accentuate your gray locks, consider styling them in ringlet curls. Use rollers in-stead of heat styling tools to avoid heat damage. 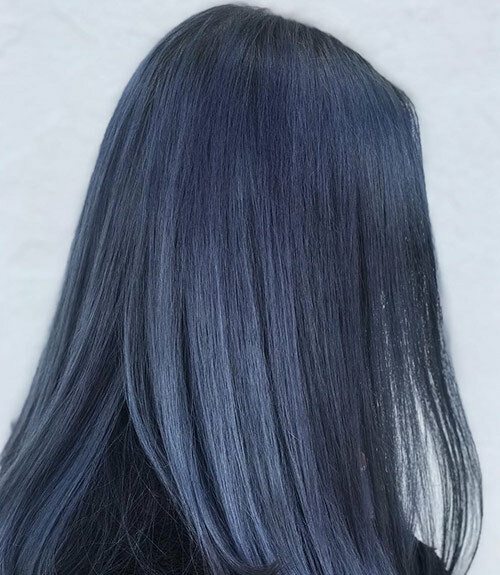 Blue-gray is a stunning color blend, and it looks totally captivating as an ombre that starts intense at the top and becomes lighter at the bottom. If you have a darker skin tone, opt for a deep navy blue with a smoky gray. As you grow older, it’s better to opt for softer hair colors over dark ones. 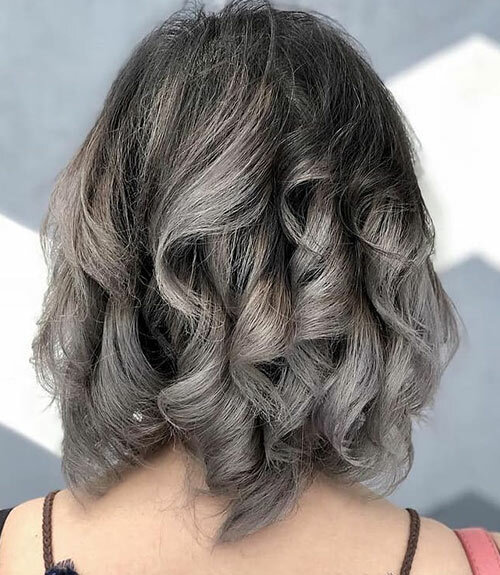 This soft gray and white mix is perfect for anyone who wants to go for a change of color without looking too flamboyant. A well-defined haircut can accentuate your hair texture and color beautifully. If you lean towards simpler styles, you will appreciate this haircut. This is the perfect hairstyle for anyone who likes experimenting with their hair without looking too extravagant. This color blend is super enticing. Dark gray symbolizes growth, strength, and sophisti-cation. 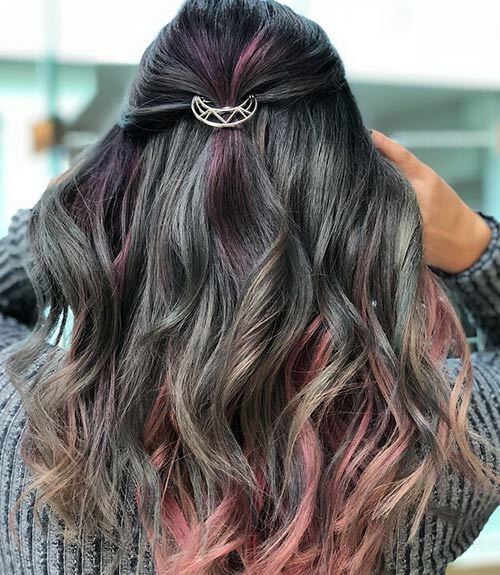 Adding dusty pink highlights to it can liven up your locks. 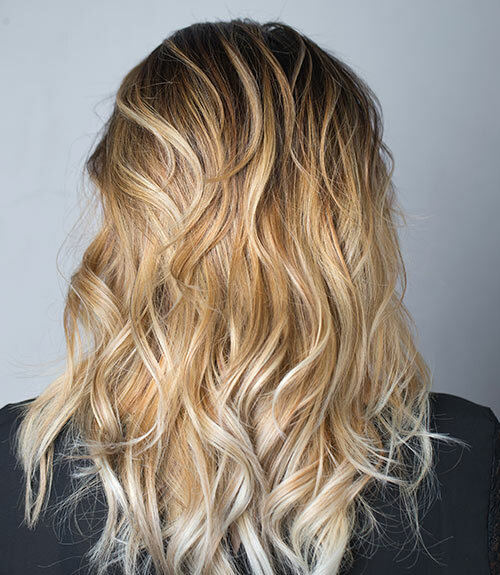 If you want to play around with this look, get it done in a balayage style. Blue and gray make for a great frosty combination. If you’re looking for the perfect winter colors, look no further! The contrast created by the blue-gray at the top and smoky gray at the bottom looks stunning. Gray hair exudes a very elegant and vintage vibe. It is best showcased with intricate hairstyles, like this braided rose half updo. The darker roots of this color blend make the transition seem seamless. Frosted tips can accentuate your hair color, be it natural or colored. They can also bring out the undertone of your hair. Many women think that they can get cool-toned tips on warm hair. I advise against it. Go for a shade that matches your skin’s undertone. 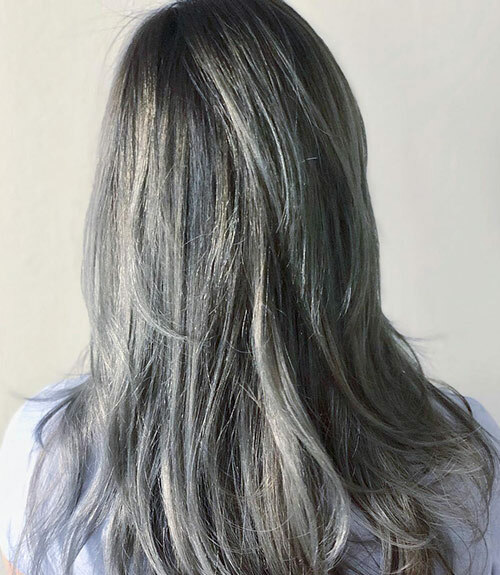 Adding some faded-out gray highlights can accentuate your gray locks. Instead of stick-ing to one shade of gray, opt for multiple shades that blend well. Pick shades that go with your skin and hair undertone. Blue and gray go hand in hand. 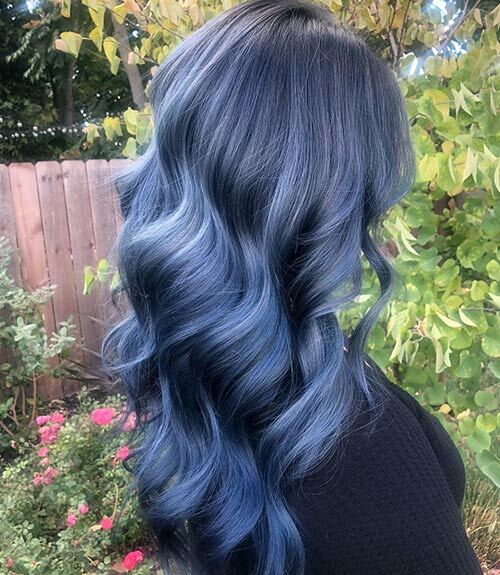 This gorgeous color blend is proof of that. 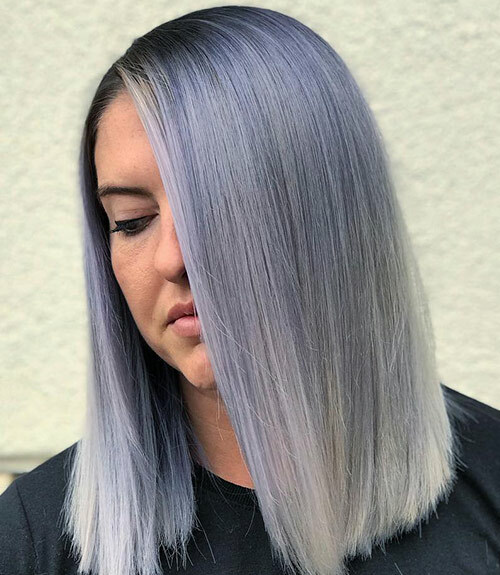 If you’ve al-ways wanted to look like an ice queen, this is the color blend you need to try out. This hair look is tailor-made for the winter! 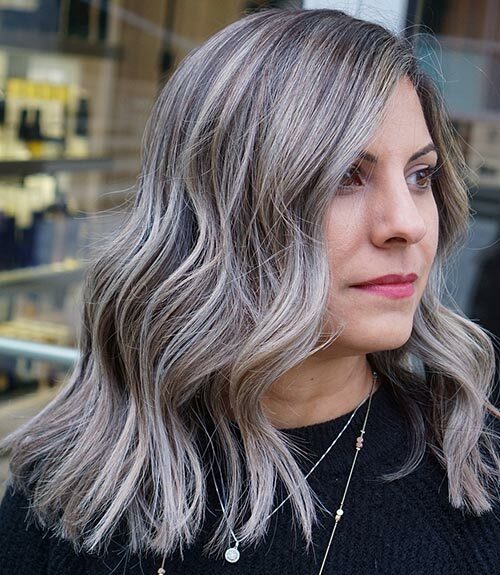 A balayage is a brilliant way to flaunt those gray locks. 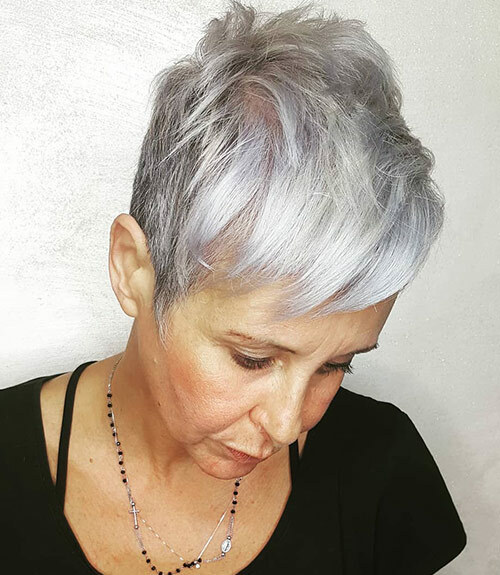 Go for a subtle lavender shade to subtly accentuate your gray hair color. Style this color blend in loose waves to add movement and dimension to this look. We’ve already established that smoky hair looks mystical and dramatic. Getting it cut in layers can enhance the look even more. It also makes your hair look more textured and voluminous. 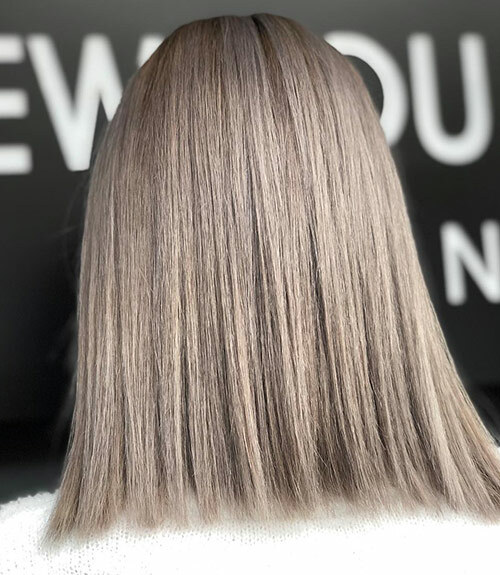 If you have brown locks, opt for this muted brownish gray shade instead of going full gray. This understated hair color looks sophisticated and a bit edgy at the same time. Style it in a simple blunt cut to retain the focus on the color blend. This is my favorite shade on this list! This hair color is so intense that it adds tons of depth and dimension to your locks. With a hair color like this, you can opt for a simple blunt cut and still catch everyone’s eye. I hope these gray color blends inspire you to take the plunge. Is there a gray shade or hairstyle you think I missed out on? Comment below and let me know! Shades Of Brown Hair Color – Which One Is Perfect For You?